Many researchers in the Balkans are quick to point at the presence of a specific radical Islamic ideology as the main driving force behind the emergence of the foreign fighter phenomenon in Syria and Iraq. However, this thesis often does not stay at ease with the available evidence on the ground. It takes the radical ideology to work as a unidirectional spear into people’s mind, stripping individuals off their agency in choosing and perhaps often seeking radical ideologies. While the presence of a certain radical Islamic ideology often is necessary, it’s both an insufficient and a trivial explanation. The currently available evidence from various studies in the Balkans point at many similarities with the European foreign fighters and jihadists; nonetheless, many differences still remain. The focus of this seminar will be on Kosovo and Bosnia, though it draws from previous field work in other areas of the Balkans in the past five years. This seminar aims at discussing the interplay between the radical ideology and how it interacts with “specific” and often “accidental” social circumstances of various individuals that not only become foreign fighters, but also come to embrace similar ideologies. In light of this, the presentations will also discuss the general role of identity; the various radicals’ relation with the established social fabric, and the intra-family close bonds of the younger generations. The presentations will further discuss who is being radicalized and how recruiters are targeting these people. 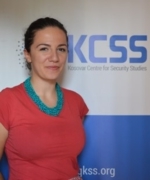 Rudine Jakupi is working as a Researcher at the Kosovar Centre for Security Studies on the Countering Violent Extremism (CVE) Program. She has completed the Master Program in International and European Relations at Linkoping University, Sweden. Rudine has a Bachelor degree in Political Science from the University of Prishtina. Rudine has also been an active member in several Non – Governmental Organizations, focusing in areas of Human Rights, Rule of Law and Gender and Security. 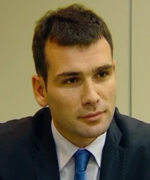 Vlado Azinović is Associate Professor at the Department of Peace and Security Studies, School of Political Science, University of Sarajevo, Bosnia and Herzegovina. Dr. Azinović received his Ph.D. in Political Science from the American University of London and MA in International Relations from Norwich University. Between 1995 and 2008 he worked as a senior editor at the Balkan Service, Radio Free Europe/Radio Liberty, Prague. Shpend Kursani is a PhD researcher in the Department of Political and Social Sciences at the European University Institute (EUI) in Florence, Italy where he researches the post-Second World War cases of contested states. 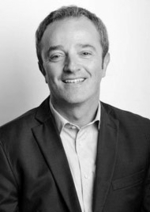 He has a Master of Philosophy degree in International Relations at the University of Cambridge, and holds a B.Sc. degree in Public Policy and Management from the American University in Kosovo / Rochester Institute of Technology, NY, US. 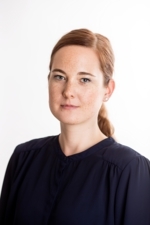 Chair is Senior Research Fellow at NUPI Rita Augestad Knudsen. The event starts at 11.45 and lasts approx. two hours with a coffee break.